AP Government is constructing the Pushkar Ghats on Permanent basis. Government has released the designs of puskhar ghats in Vijayawada. As most number of devotees are expected to take the holy bath in Vijayawada, around 73 ghats are being constructed only in Vijayawada. 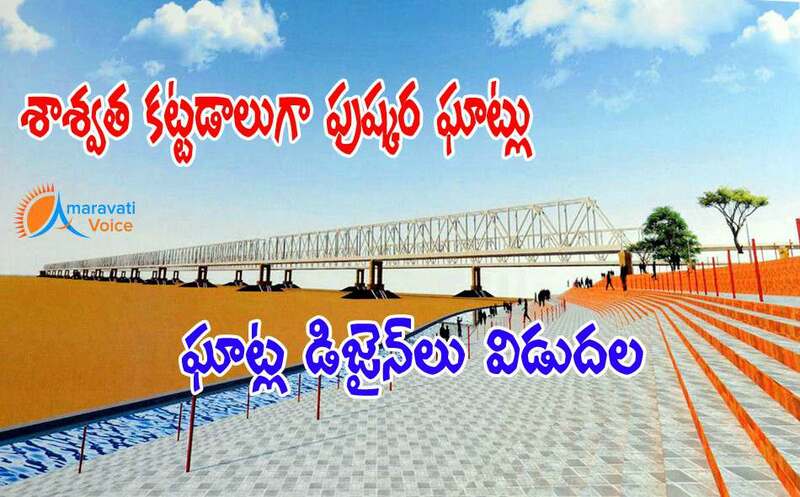 Very big ghat is being constructed of around 2.5 km from Vaaradhi downstream till Prakasam Barrage. Below are the designs.